He spent 13 years blowing things up, mistreating a crash test dummy called "Buster," and pooping all over the party of every person who ever believed in a rumor, an urban legend, or a James Bond getaway. 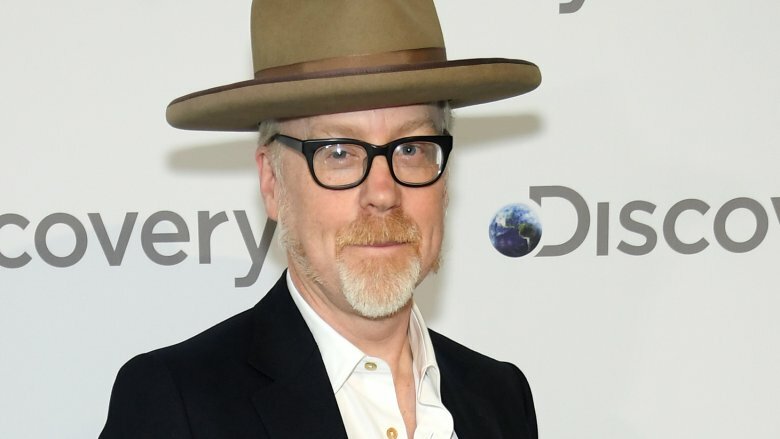 Yes, as co-host of the long-running Discovery series MythBusters, Adam Savage had the world's coolest job, and he's left behind a legacy of 40-year-old guys who totally wish they could be friends with him. But Adam Savage is more than just the sum of all the debris that some poor underpaid stage hand had to sweep up at the end of every show. His life has always been way more interesting than yours, and you can rest secure in the knowledge that his life will likely continue to be way more interesting than yours, even though today he's mostly blowing stuff up in his spare time instead of getting paid for it. For now. Okay so it's not exactly true that Big Bird was a close, personal friend of Adam Savage, but Sesame Street did play a big role in his life, and not in the same way it did for most kids who grew up in the '70s. Adam Savage has natural talent — he's artistic, creative, and clever. It's probably not a stretch to say that some of that came from his dad, Whitney Lee Savage, who was an animator on Sesame Street and also did work for another popular children's television show called The Electric Company. Writing for AV Club, Savage said his dad spent two or three months a year drawing and animating 30-second animated spots for Sesame Street, and then "he'd do what he considered his real work: paint for the rest of the year." His dad's involvement with the show eventually led to Savage's first acting job — he did the voicework for a series of Sesame Street spots that taught kids how common household objects worked. Savage also got a lot of inspiration from his dad's work, experimenting with claymation and animation and even doing a spot for Swatch in 1988. 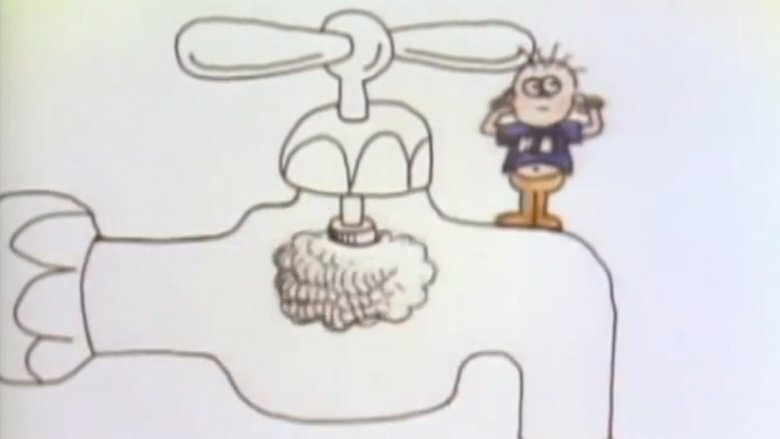 "Those simple animations are what I thought of as 'Dad's work' growing up," he wrote. "To me, they represent a creative brain allowed to run free. What more can one ask?" Ask any American kid about career ambitions and you'll probably get answers in the range of 50 percent video game designer and 50 percent professional video game YouTuber. The kid version of Adam Savage once had career ambitions along those lines, as in, he just wanted to get paid to play with toys all the time. He told The Sneeze that before he ever wanted to work in special effects or blow things up for a living, he wanted to be a Lego designer. "Hands down, the best toy ever has to go Lego," he said. 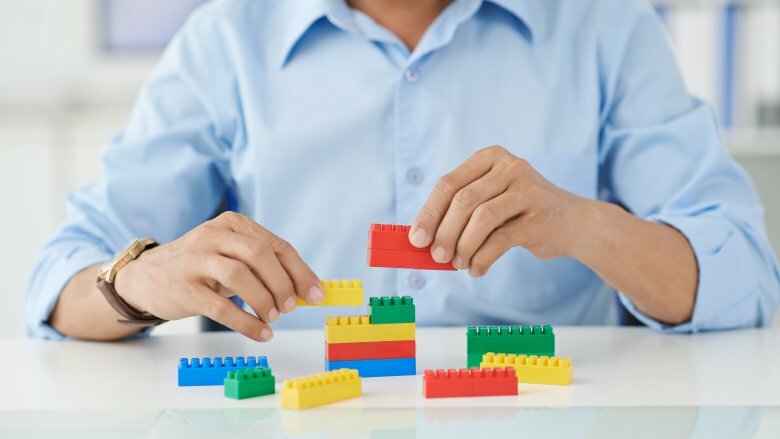 "I mean, Lego fueled my desire to build things from age 5 to … age 17, I think." Savage didn't become a Lego designer, but that desire to build undoubtedly led him to his career in special effects and later to his career in explosions and disagreeing with Jamie Hyneman all the time. Incidentally, Savage also said he won't buy video games for his own kids because "I don't want to listen to that," so there probably won't be any game designers coming out of the Savage household. As for YouTubing, well, Savage does have his own channel, though it teaches viewers to build and create stuff instead of teaching them how to wipe the drool from the corners of their mouths while vacantly watching someone else play Fortnite for literally hours at a time. Just about everyone who lived in the United States during the '80s remembers big hair, boom boxes, and Mr. Whipple. While today's Charmin commercials inexplicably feature cartoon bears alluding to their number two bathroom activities, yesterday's Charmin commercials featured an old grocer named "Mr. Whipple," who got really bent out of shape when customers dared to "squeeze the Charmin." According to SF Gate, by the time Adam Savage was a teenager, he'd decided that maybe acting was his thing. 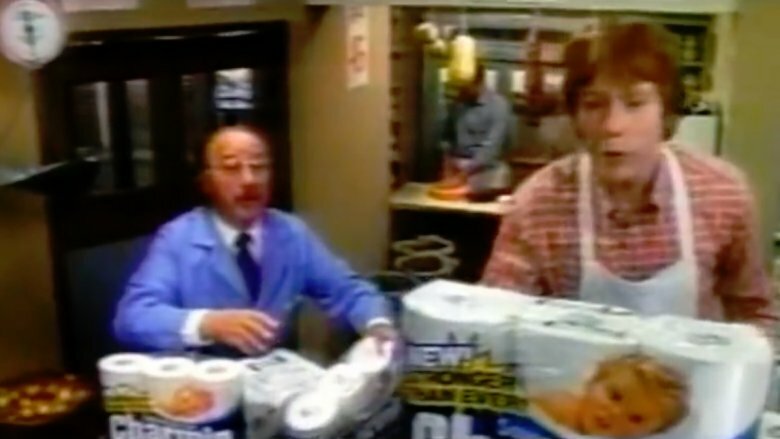 And because people who are new to acting don't turn down roles, no matter how silly they are, his legacy includes a brief stint in one of the Mr. Whipple commercials, where he plays an apron-clad stock boy named Jimmy. "Mr Whipple! The roof is leaking all over the new Charmin!" he cries as the store's ceiling suddenly pours all over the toilet paper display. And because that's not '80s-nostalgic enough, he also appeared in the 1985 Billy Joel music video "You're only Human (Second Wind)," in which he played a kid who is rescued from drowning as Billy Joel goes fishing and looks cool while sitting on a lifeguard tower in a black overcoat. There was literally no other time like the '80s. What's the world's coolest job, besides blowing stuff up for the Discovery Channel? Designing models for Star Wars! Now, everyone knows no ordinary mortal could possibly hold each of those positions in a single career, but Adam Savage is no ordinary mortal. Not only did he spend 13 years on MythBusters, before that he worked for Industrial Light & Magic as a model designer. For Adam Savage, watching Star Wars was a life-changing experience. His dad thought the iconic movie was "a piece of crap," but whatever. According to StarWars.com, Savage was undeterred by his dad's lack of enthusiasm, and grew up reading Star Wars and special effects magazines, so by the time he landed a job at ILM he not only understood the Star Wars universe, he also knew how to create it. "I had a reputation at Industrial Light & Magic for being quite fast and that afforded me some really cool jobs," he said. After three years at ILM, though, Savage says he started to become restless, because non-ordinary mortals can never be content with working the most awesome job of all time forever. That's when he got the opportunity to work on MythBusters, the other most awesome job of all time. In case you're totally blinded by awesomeness, it's worth noting that the Star Wars films that Savage worked on were Episodes I and II. Well, nobody's perfect, right? 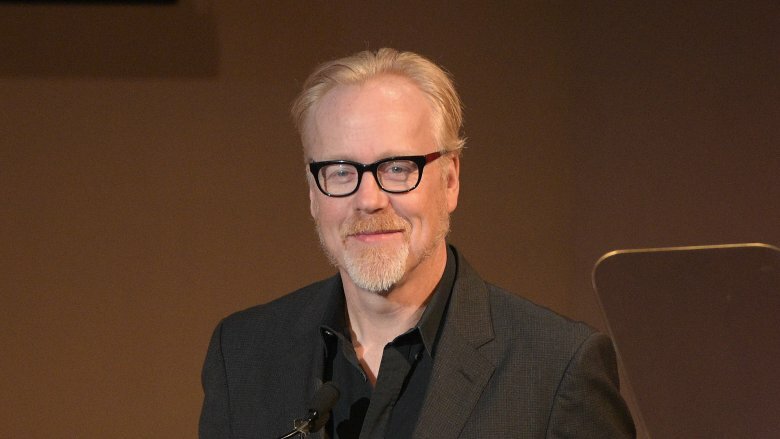 If you know anything at all about the strained relationship between Adam Savage and co-host Jamie Hyneman, you might assume that the two incompatible personalities ended up hosting MythBusters together through some casting accident, but the truth is actually stranger than that. 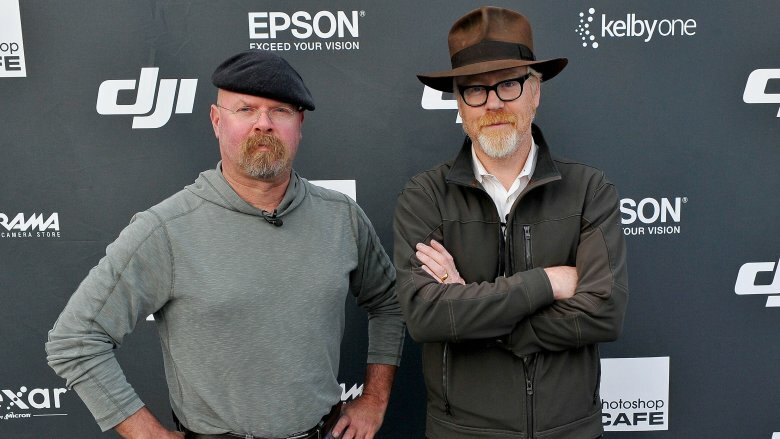 Savage and Hyneman knew each other before MythBusters — according to SF Gate, they worked together in the 1990s at Colossal Pictures, a special effects house in San Francisco. "Jamie actually gave me my first job in the film industry," Savage told The Sneeze. The pair collaborated for three years making models for commercials, and they also built the semi-legendary Battlebot robot "Blendo." 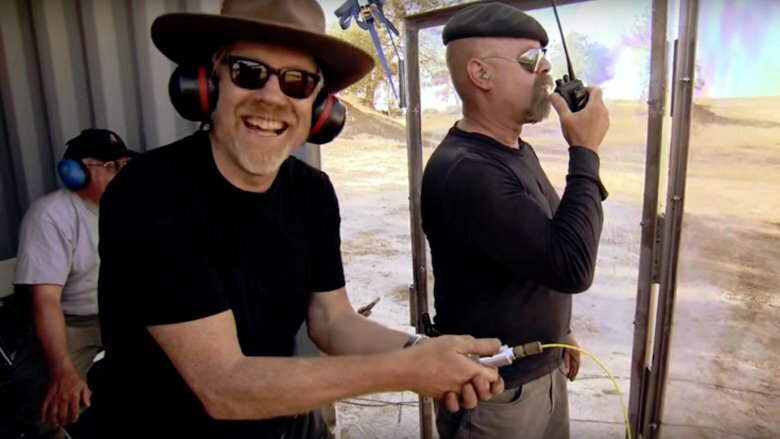 In fact it was Hyneman who first called Savage about doing MythBusters — Hyneman had been approached by the show's creator, but didn't think he was "interesting enough" to carry the whole show on his own. So he called Savage and thus began (or continued) one of the most brilliantly antagonistic co-host relationships in the history of television. Now, some people will tell you that after 13 years of myth busting, Savage and Hyneman actively dislike each other, but that's not accurate. "It is true that we're not friends," Savage told Entertainment Weekly, but he also says the two have "a deep amount of respect" for each other. "We disagree about the small details every single day … but we don't really disagree about the big stuff." All non-ordinary mortals have a weakness, and if you watched the self-hypnosis episode of MythBusters, you know what Adam Savage's is. Savage suffers from apiphobia, which is the fear of bees. It's probably safe to say that most people aren't crazy about bees. 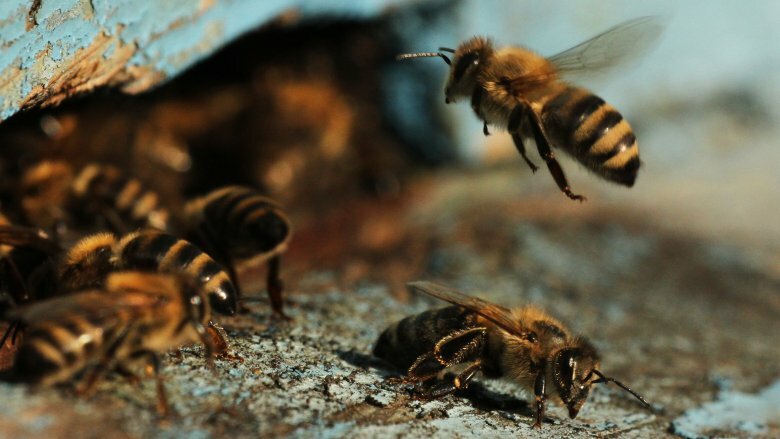 Sure, we know they make delicious honey and they're good for flowers and for pretty much everything we eat that isn't a cow, chicken, or pig, but no one likes to be dive-bombed by bees while swimming in a backyard pool. Most of us don't panic, though, although just about everyone will admit that a hysterical apiphobic at poolside is kind of funny to watch. Savage's fear of bees is serious enough that he volunteered to spend a week listening to a self-hypnosis CD, so you know if you're willing to submit to that kind of torment it must mean you have an actual problem. The self-hypnosis CD was supposed to help him relax when confronted with his greatest fear, thereby curing him of his apiphobia forever. Did it work? According to Discovery, Savage's stress level and heart rate in the presence of bees rose considerably even after the week of self-hypnosis, so, no. The good news is that if you're ever tempted to drop 17 bucks on a CD that will make people stop laughing at you when you're at the public pool, you can save your money 'cause that myth has been busted. 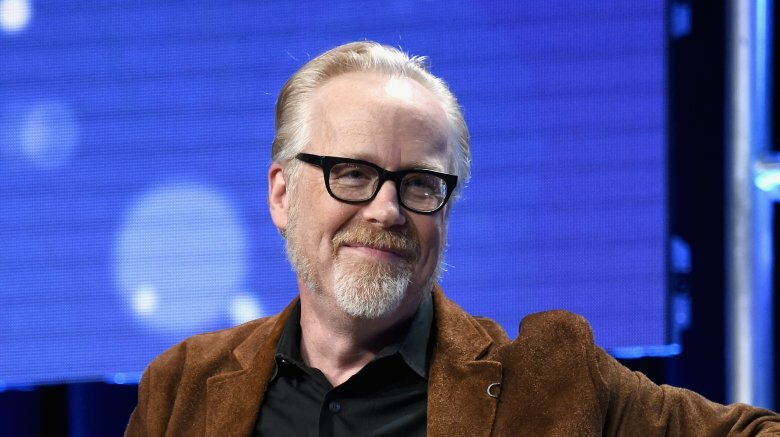 Adam Savage told Entertainment Weekly that the only myth he regrets busting is the one where razor blades are supposed to stay sharp if kept under a pyramid. "That falls into the realm of 'magic,' he said. "That's not MythBusters." That handful of words actually says more about Savage than every Star Wars model, Billy Joel video, or hysterical poolside incident possibly could — he's a self-proclaimed skeptic, which means he believes in science and rejects superstition. Now, good science is obviously the standard we should be using to make rational decisions about a lot of things, but it is kind of annoying when scientists wreck everyone's fun by saying ghosts don't exist and there's no such thing as psychics. Because although we all want to live in a world where everyone understands climate science and vaccinates their kids, telling ghost stories is fun. Anyway, Savage regularly speaks at The Amaz!ng Meeting, which is an annual gathering of like-minded science folks who confront anti-science on a wide range of important topics like climate and genetic engineering. Even Adam Savage's most devoted fans aren't necessarily aware that he suffers from hearing loss. Given the nature of his job, it's tempting to conclude that the hearing loss must have happened when something blew up on the set of MythBusters, or more likely, when lots of things blew up on the set of MythBusters. But Savage's hearing loss is actually congenital — his ears have structural problems that leave him at risk for infections, which can potentially lead to larger problems like meningitis and partial facial paralysis. In an interview with Still Untitled, Savage said he's undergone a series of operations meant to correct the structural problems in his ears, but his hearing loss is still severe enough that he has to wear hearing aids. "When I don't have my hearing aids in, I start to get panicked because I can't hear anything and the world gets very small very quickly," he said. Savage is open about his hearing loss and is a champion for the use of hearing aids. "Hearing aids changed my life," he said, "They saved my marriage." You can't call yourself a bona-fide geek until you've gone to Comic-Con, and you can't claim the title of non-ordinary mortal and bona-fide geek until you've gone to Comic-Con in awesome cosplay. 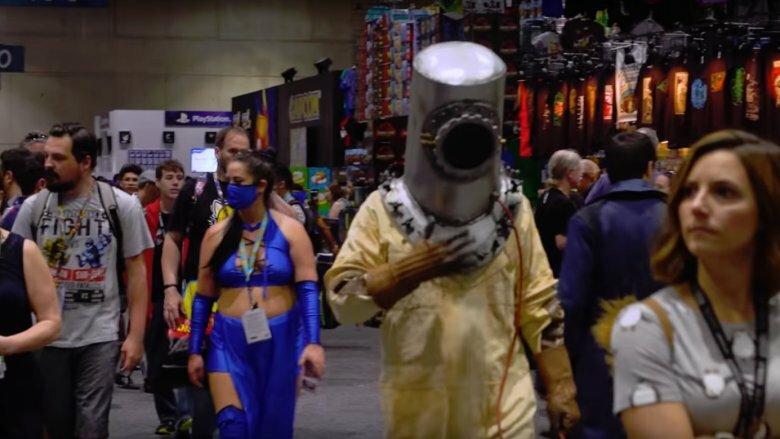 According to SyFy, every year Adam Savage not only goes to Comic-Con, he goes there incognito in an elaborate, full-body costume that he either builds himself or commissions. His costumes have run the gamut from Chewbacca to Hellboy to Totoro. In 2017 he attended Comic-Con as King Arthur in a 20-pound suit of armor. The armor was made by Terry English, who also created the costumes for the 1981 film Excalibur. Funny thing, though, you can't really be incognito if everyone knows you're always incognito, and Comic-Con fans in the know have made a game of trying to spot Adam Savage at the annual event. So the next time you're at Comic-Con just look for the guy in the 100 percent self-contained suit who looks really hot and uncomfortable, and then ask for a selfie. He may not reveal his identity to you but you can be pretty sure he'll let everyone in on the secret on his YouTube channel. Who said there's no future in being a fanboy? There are some real job perks to being the non-ordinary mortal star of a long running television program in which you get to build super-cool things and then blow them up. One of those perks is the paycheck. The other one is that people take you seriously even though you're still pretty much the same geeky fanboy you've always been, only now you're a geeky fanboy with leverage. In 2017, Adam Savage got to appear (above) in 2048: Nowhere to Run, a film short promoting Blade Runner 2049. 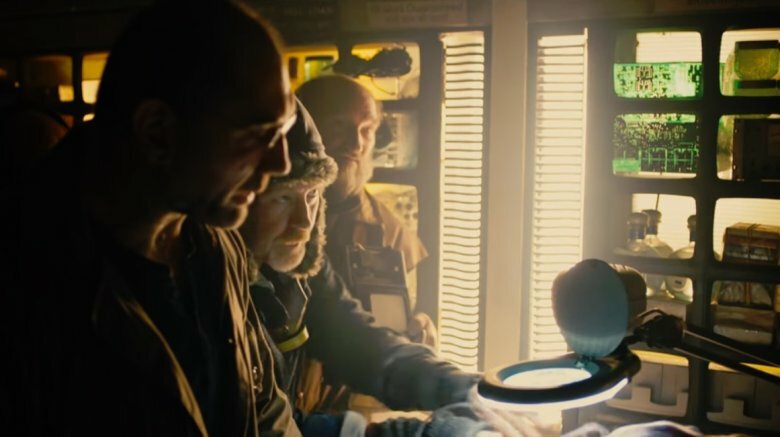 According to SyFy, the film takes place in a crowded, underground marketplace and follows the shady activities of replicant Sapper Morton, played by Dave Bautista. Savage plays a "blood bag merchant" (eww) and can be seen over the shoulder of Bautista for roughly 16 seconds. It's not exactly the role of a lifetime, but the awesomeness points are pretty off the charts. Oh, to be a fanboy with leverage.